Rysunki: MIKE DEODATO JR., MARK BROOKS, JOHN ROMITA JR. 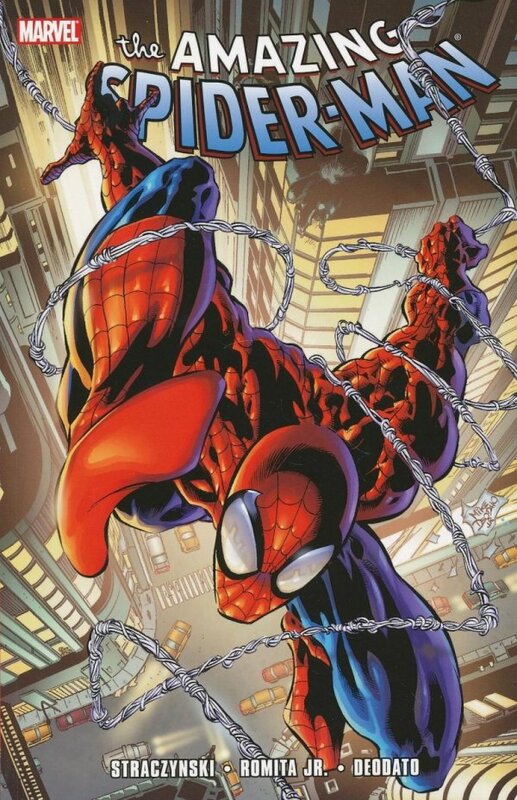 Writer J. Michael Straczynski arrived on Amazing Spider-Man with one goal in mind: Return the series to its heartfelt roots as a chronicle of Peter Parker's life both in and out of costume. Straczynski's debut quickly revived the series as both a fan and critical favorite. 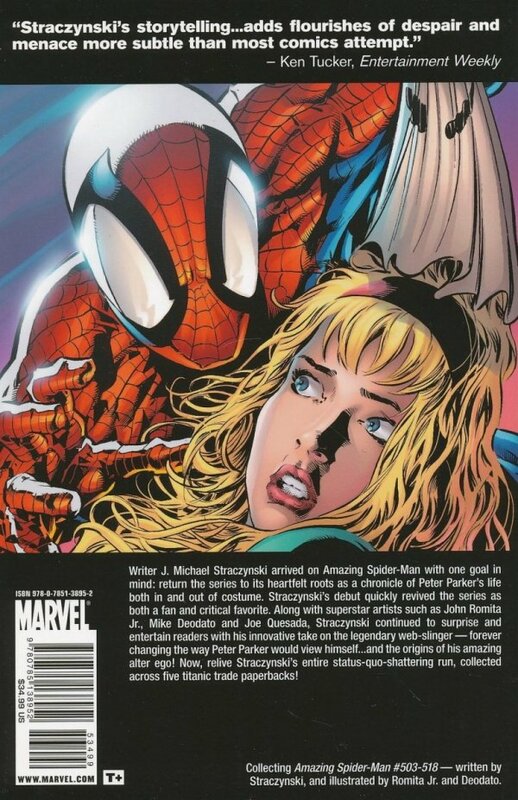 Along with superstar artists such as John Romita Jr., Mike Deodato and Joe Quesada, Straczynski continued to surprise and entertain readers with his innovative take on the legendary web-slinger -- forever changing the way Peter Parker would view himself...and the origins of his amazing alter ego! Now, relive Straczynski's entire status-quo-shattering run, collected across five titanic trade paperbacks!